Dasher enjoys exploring the nearby beaches and walks along the promenade with his half sister's Rosie & Ruby! 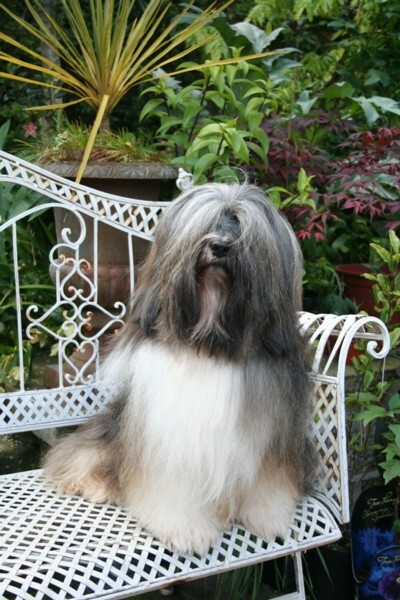 1st MPD at Blackpool Championship Show on 24th June 2005 - judge: Val Taylor ~ Qualifying him for Crufts 2006! ~ Dasher then went on to be shortlisted in BIS then went on to win BPIS under judge: Mike Smith. ~ Dasher also went onto win Puppy Group1 - judge: Mrs J.A. 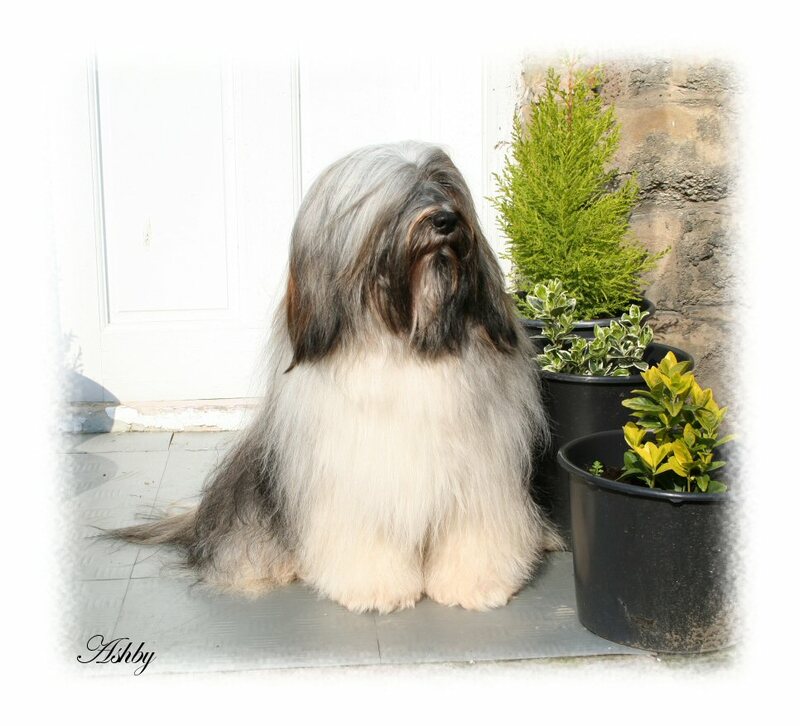 Swinburn, and then went onto to win Reserve Best Puppy in Show! - judge: Mrs S. Pinkerton. ~ Dasher also went on to win Puppy Group 1 under the same judge Graham Cruze, and then went onto win Best Puppy in Show - judge: Mrs Julia Iles-Hibbert. 2nd PD at Driffield Championship Show on 16th Ocober 2005 - judge: Jack Bispham. 1st Puppy & BPD at Midland Counties Championship show 2005 on 28th October 2005 - judge: Andrew Brace. ~ Dasher went onto win Utility Puppy Group 1  under the same judge. 2nd PD at TTA Championship Show on 12th November 2005 - judge: Ann Matthews. 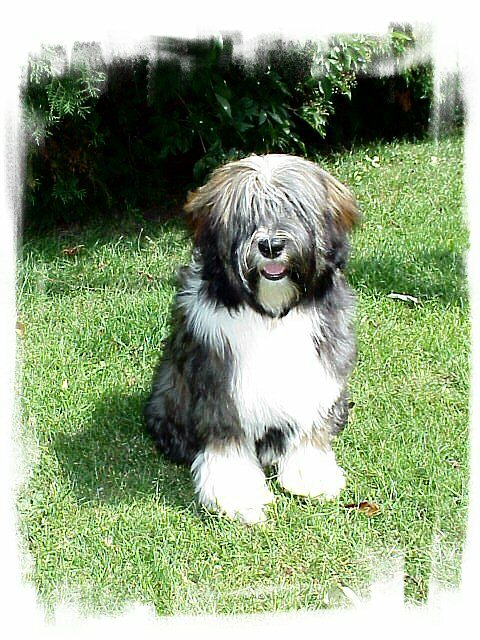 1st Puppy & Best Puppy at Bolsover & District C.S Open Show on 19th November 2005 - judge: Sheila Jakeman. 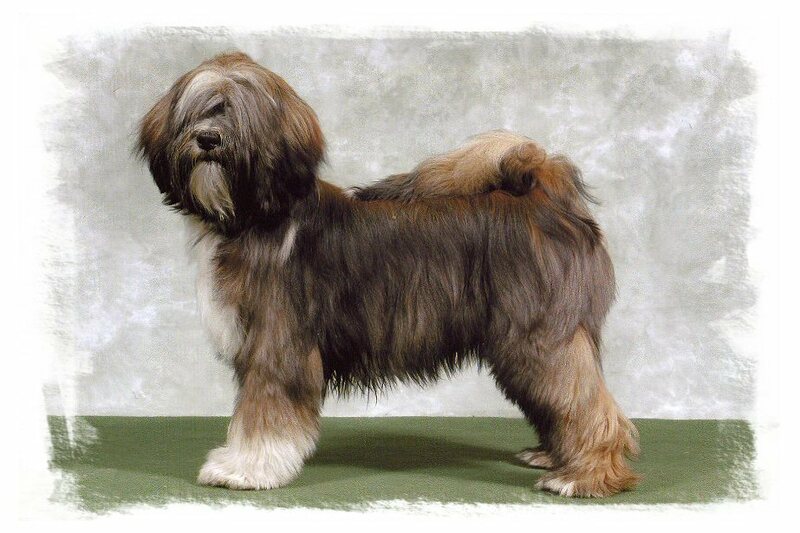 ~ Dasher also went on to win Puppy Group 4 under the same judge. ~Dasher also went on to win Puppy Group 2 - judge: Mr C. Thomas. ~Dasher also went on to win RBPIS - judge: Mr J. Burrows. 2nd PD at L.K.A Championship Show on 9th December 2005- judge Gillian Marley. 1st Puppy, 1st Junior & BP at Boston C.S Open Show on 11th December 2005 - judge Neil Smith. ~Dasher went onto win Group 2 - judge Mrs M. Mullholland. 1st Junior, 1st Graduate & RBOB at Luton C.A Open Show on 28th December - judge: Gwen Beaden. ~ Dasher went on to win Group1 under the same judge. ~Dasher went onto win Group 3 under the same judge. 1st Junior & BOB at Sheffield & District K.A Open Show on 5th March 2006 - judge: Mrs M. Mullholland. Dasher also went on to win Best in Show under judge: Mr. B Lane. The above wins gained Dasher his title of ShCM (Show Certificate of Merit) and at the young age of 15 months. 1st Post Graduate and Reserve BOB at Sheringham & District Open Show on 19th March 2006 - judge: Mrs P. Sharp. 1st Junior & BOB at Retford C.S Open Show on 26th March 2006 - judge: Frank Whyte. 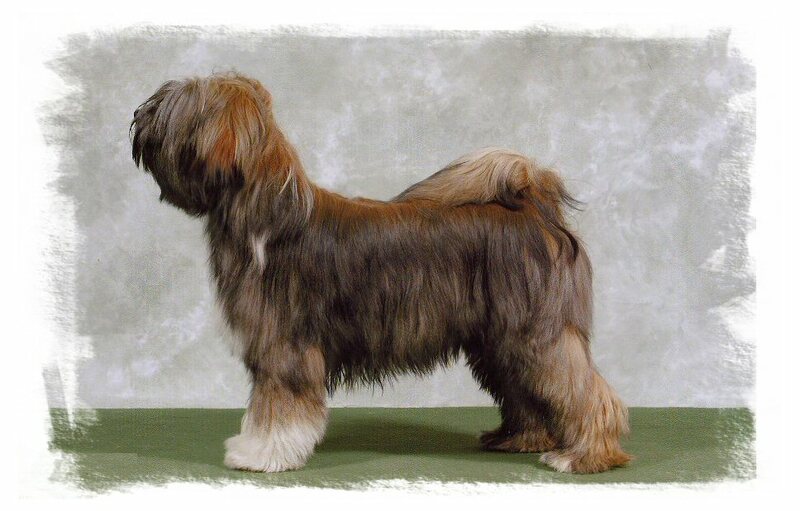 2nd Junior at the  Tibetan Terrier Association Spring Open Show on 9th April 2006 - judge: Lynn Bateman. 1st Junior & BOB at Eastwood & District K.A Open Show on 14th April 2006 - judge: Krista Guziolek. 1st Graduate AVNSC Utility & Best AVNSC Utility, He went onto win Utility Group 2 at Nuneaton & District C.S Open Show on 17th April 2006 - judge: Graham Godfrey. 1st Post Graduate & BOB, He went on to win Utility Group 3 at Derby C.S Open Show on 23rd April 2006 - judge: Roberta Wright. ~ he also went onto win the Junior Stakes under judge: Keith Young. 1st in Post Graduate, BOB & Utility Group 4 at Edwinstowe C.S Open Show on 28th May 2006 - judge: Paul Balmer. 1st in Junior at Bath Championship Show on 29th May 2006 - judge: Roger Stone. 1st Junior, BOB & Utility Group 4 at Alfreton & District C.S Open Show on 17th June 2006 - judge: Marion Sargeant. 1st Post Graduate & RBOB at Cheshire County Dog Show on 20th June 2006 - judge: Tom Isherwood. 1st in Limit at East of England Championship Show - 20th July 2006 - judge: Ian Murray. ~Dasher went on to win Utility Group 4 under judge: David Wallis. 1st in Limit at T.T.B.O.C Open Show on 5th November 2006 - judge: Barry Tookey. 1st in Graduate & BOB & Utility Group 3 at West Torrington C.S Open Show on 25th November 2006 - judge: David Mathias. 1st in Open at N.S.F.K.A Open Show on 30th December 2006 - judge: Geoffrey Davies. 1st in Post Graduate AVNSC & Best AVNSC, 1st in Open Stakes and Dasher went on to win Reserve Best in Show! at Harrogate & District C.S Open Show - 18th February 2007 - judge: Marlene Hepper. 1st Post Graduate & BOB at Sutton Coldfield & District C.A Open Show - 24th February 2007 - judge: Barbara Stringer. 1st in Open & BOB at Wath & West Melton C.S Open Show - 3rd March 2007 - judge: Jackie Webb. 1st in Open  at West Torrington & District C.C Open Show - 17th March 2007 - judge: Patricia Iles. 1st in Open & RBOB at Otlety C.S Open Show - 18th March 2007 - judge: Aimee Vernall. 1st in Open & RBOB at Retford C.S Open Show - 25th March 2007 - judge: Kerry Rushby. 1st in Post Graduate & BOB at Doncaster C.S Open Show - 1st April 2007 - judge: Joe Ashwood. 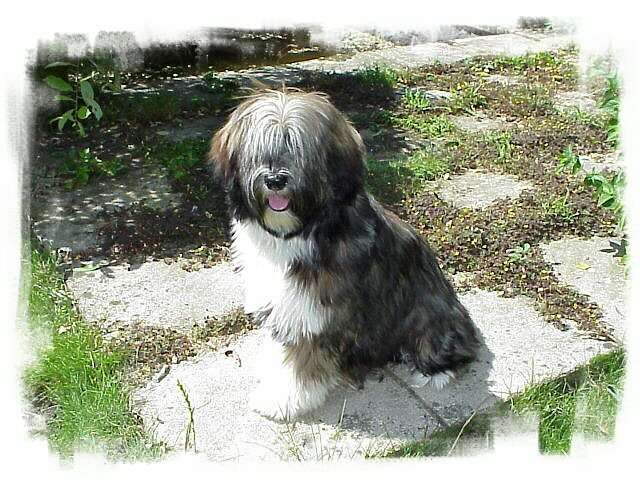 1st in Post Graduate Dog at Tibetan Terrier Association Open Show - 14th April 2007 - judge: Wendy Gardner. 1st in Open, BOB & Utility Group 3 at Wombwell & District C.S Open Show - 22nd April 2007 - judge: Alan Pearson. VHC in Post Graduate Dog at W.E.L.K.S Championship Show 2007 - 28th April 2007 - judge: Mrs M. J. Frankl. Dasher also went onto get shortlisted for Best in Show under judge: Tegwyn Jones. 1st in Open & BOB at Selby & District C.S Open Show - 6th May 2007 - judge Peter Deveaux. Dasher went onto win Utility Group 2 under judge: Margaret Wildman. 1st in Post Graduate at Beverley & District C.S Open Show - 9th June 2007 - judge: Pauline Bentley. on 22nd June 2007 - judge: Mark James. 1st in Post Graduate & RBOB at Bakewell Open Show - 2nd August 2007 - judge: Barbara Lewis. 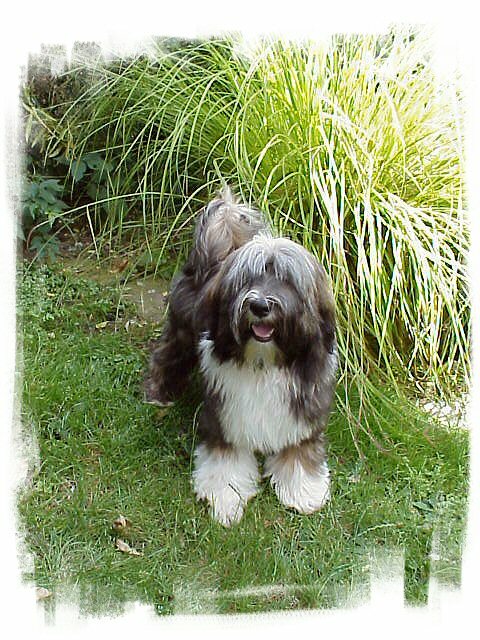 3rd in Post Graduate Dog at Tibetan Terrier Association Championship Show - 4th August 2007 - judge: Ann Arch. 1st in Post Graduate Dog at T.T.B.O.C Championship Show - 5th August 2007 - judge: Tuula Plathan. 1st in Open & BOB at Wath West Melton & District Open Show - 25th August 2007 - judge: Barbara Metcalfe. 1st in Open & BOB at North Lincs D.C Open Show - 30th September 2007 - judge: Sherrill Goodwinn. 1st in Open & BOB at Hillsborough & District C.S Open Show - 21st October 2007 - judge: Frank Whyte. 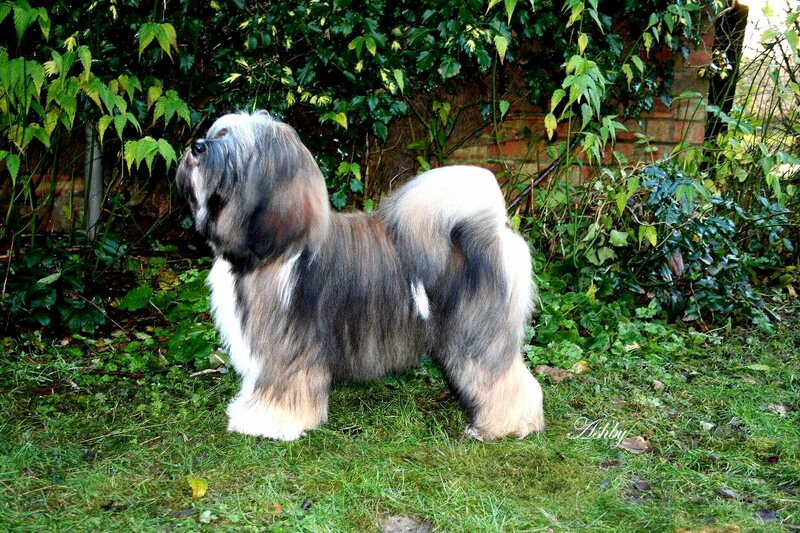 1st in Post Graduate Dog at Tibetan Terrier Association Open Show - 10th November 2007 - judge: David Roberts. at Bolsover & District Open Show on the 18th November 2007. 1st in Open & BOB at West Torrington & District C.C Open Show on the 24th November 2007 - judge: Jan Lefevre. 2nd in Post Graduate Dog at B.U.B.A Championship Show 2007 on the 1st December 2007 - judge: Veronica Clare-Johns. Dasher also went onto win Utility Group 3 under judge: John Dyer. (Dasher was shortlisted in the Utility Group under judge: Dr A Schemel). 1st in Open & RBOB at Nottingham Sherwood Foresters K.A Open Show on the 29th December 2007 - judge: Carolyn Roe. Dasher also went onto win Utility Group 2 under the same judge. Dasher also went onto win Utility Group 4 under the same judge. 1st in Post Graduate at Manchester Championship Show 2008 on the 18th January 2008 - judge: Cheryl Johnson. 1st in Post Graduate & RBOB at Lichfield C.S Open Show on the 26th January 2008 - judge: Lee Cox. Dasher also went onto win 2nd in the A.V Post Graduate Stakes under judge: Terry Nethercott. 1st in A.V.N.S.C Post Graduate at Pontefract & District C.S Open Show on the 3rd February 2008 - judge: Robin Searle. Dasher also went onto win 1st in the A.V Post Graduate Stakes under judge: Hazel Arriz. Dasher also went on to win Utility Group 1 under judge: Mark Price. Dasher also went on to win Utility Group 1 under judge: Angela McInnes. 2nd in Open at Wath & West Melton C.S Open Show on the 1st March 2008 under judge: Andrew Hoblin. 1st in Open & Best of Breed at West Torrington & District C.C Open Show on the 15th March 2008 under judge: Zena Parton. 2nd in Post Graduate at B.U.B.A Open Show on the 22nd March 2008 under judge: Aimee Vernall. Dasher went onto win Utility Group 1 under the same judge! 2nd in Open at Stratford-on-Avon C.S Open Show on the 12th April 2008 under judge: Derek Jay~. Dasher also went onto take 2nd in the Open Stakes under judge: Mrs J. Ashwood. 4th in Limit Dog at T.T.B.O.C Championship Show on the 4th May 2008 under judge: Clare Coxall. Dasher also went onto win Utility Group 3 under judge: Norma Naylor. 1st in Open & Best of Breed at Bakewell Premier Open Show on the 7th August 2008 under judge: Marion Sargent. on the 21st August 2008 under judge: Mrs I. Whiting, Dasher also went onto win Utility Group 1 under the same judge. 1st in Open & Best of Breed at Wath West Melton C.S Open Show on the 23rd August 2008 under judge: Fran Kaye. 2nd in Limit Dog at City of Birmingham Championship Show on the 31st August 2008 under judge: David Wallis. 2nd in Limit Dog at Darlington Championship Show on the 12th September 2008 under judge: Mark James. 1st in Open & Best of Breed at Derby C.S Open Show on the 27th September 2008 under judge: Carolyn Lee-Farnsworth. 2nd in Open Stakes at Worksop & District C.S Open Show on the 18th October 2008 under B.I.S judge: Mrs R. Lord. Dasher also went onto be shortlisted for Best in Show under judge: Mr E. Webster. Dasher also went onto win Utility Group 4 under the same judge! Dasher also went onto win Utility Group 2 under the same judge! 1st in Open at Pontefract & District C.S Open Show on the 1st February 2009 under judge: Joe Ashwood. Dasher went onto win Utility Group 3 under judge: Tim Ball. 1st in Open & Best of Breed at Wath/West Melton & District C.S Open Show on the 28th February 2009 under judge: Alan Broadstock. Reserve in K.C.G.C class at Crufts 2009 on the 6th March 2009 under judge: Mike Davies. 1st in Post Graduate & Best of Breed at Colne, Nelson & District C.S Open Show under judge: Dorothy Stirzaker. VHC in Limit Dog at the Tibetan Terrier Breeder & Owners Club Championship show on the 3rd May 2009 under judge: Torbjorn Skaar. 2nd in Post Graduate at North West Canine Association Open Show on the 4th May 2009 under judge: Ruby Adey. Dasher went on to get shortlisted down to the final 5 in the Utility Group under judge: Keith Storey. at Chester City & County C.S Open Show. 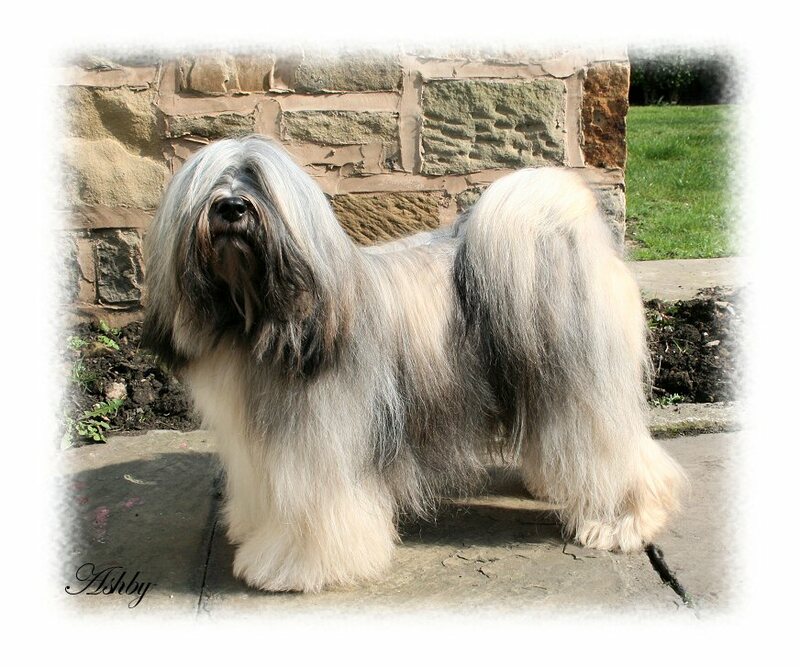 under judge: Glyn Davis (Wharlie Tibetan Terriers). 1st in Post Graduate & Best of Breed under judge: Pauline Gent, Dasher also went on to win Reserve Best in Show! at Harrogate & District C.S Open Show, on the 4th July 2009. under judge: Bob Gaye (Hazgaye). Dasher also went onto win 1st in the A.V Post Graduate Stakes under judge: Donita Johnson, on the 19th July 2009 at Wombwell & District C.S Open Show. 3rd in Limit Dog at the Tibetan Terrier Association (Summer) Open Show, under judge: Pauline Bentley (Shanibar) on the 1st August 2009.
on the 8th August 2009 all under judge: Gillian Marley (Myrlea). 1st in AVNSC Utility Open & Best AVNSC Utility, Dasher went onto win Utility Group 2 at Darwen C.S Open Show ~. on the 19th December 2009, under judge: Mike Vincent. Reserve in Limit Dog at Boston Championship Show 2010 on the 10th January 2010, under judge: Caroline Johnson-Morris. 3rd in Limit Dog at Manchester Championship Show 2010 on the 22nd January 2010, under judge: Barbara Stringer. on the 6th February 2010 at Leigh C.S Open Show. on the 20th March 2010 at West Torrington & District C.S Open Show. 2nd in Limit Dog at W.E.L.K.S Championship Show 2010 on the 24th April 2010, under judge: Cheryl Johnson (Khados). 1st in Limit Dog & RDCC at T.T.B.O.C Championship Show 2010 on the  2nd May 2010, under judge: Ashley Reid (Australia). 1st in Open & Best of Breed, Dasher also went onto win Utility Group 2 at Westmoreland C.A. on the 5th June 2011 under judge: Les Aspin. 1st in Limit Dog at Border Union Championship Show, on the 19th June 2011 under judge: Jane Lilley. 1st in Open & Best of Breed at Harrogate DCS Open Show on the 13th August 2011 under judge: Andrew Stephenson. 1st in Open & Best of Breed, Dasher aslo went on to win Utility Group 3 at Fylde K.A Open Show on the 16th October 2011 under judge: Peter Bailey. 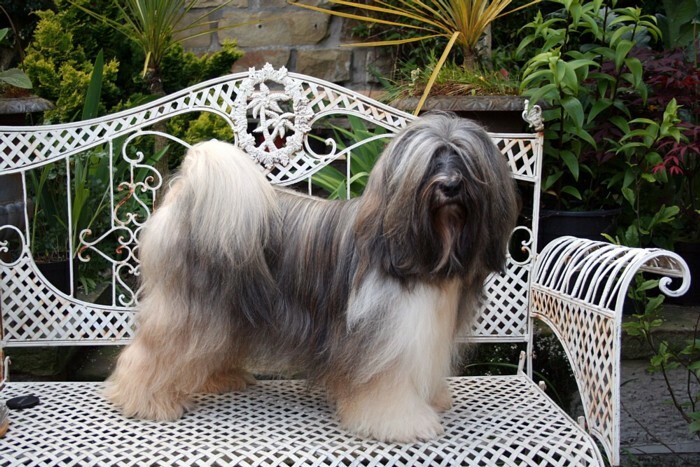 Reserve in Veteran Dog at Crufts 2012 on the 8th March 2012 under judge: David Wallis. 1st in Veteran Dog at T.T.A Open Show on the 14th April 2012 under judge: Jim Hogg. 1st in AV Veteran & Best Veteran in Show! at Annandale C.S Open Show on the 22nd July 2012 under judge: Cath Parker. 1st in Veteran Dog at Darlington Championship Show 2012 on the 14th September 2012 under judge: Cheryl Johnson.